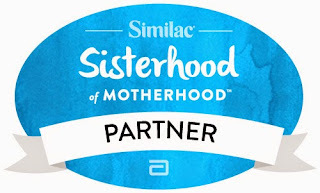 When Similac asked me to join the Sisterhood of Motherhood they suggested a good thing for me to write about is how we can all be more accepting of each other as parents. For Stevie and I, before we even started worrying about how other people viewed us as parents we decided to concern ourselves more with how we viewed ourselves. What kind of parents would we be? There was one thing we were both 100% on the same page about. We were going to be a team. We would divide the work equally. We would make decisions together. We would be equal parents. Those were really easy words to say, but figuring out what they meant has been a much more cumbersome task. How do you divide up work when you have no idea how much work needs to be divided? How could we get on the same page when we had no idea which page the other one was on? Communication is another easy word to say, but sometimes communicating means getting upset, butting heads, disagreeing, and finding each other on the other side. We’re not perfect, nor are we trying to be, but we are getting a lot better at this whole equal parenting thing. Here are three strategies that have helped us find our way. Putting Duchess to bed hasn’t always been the easiest of tasks. She used to resist it with all the tears she could muster. It was difficult to deal with, and it was also difficult to listen to from the other room. One time, when Stevie was having a remarkably hard night with her, I decided to swoop in and save the day. I poked my head into the room, made some silly faces, got the kiddo laughing, and offered to read a book. Stevie quietly snuck out the door and I finished off bedtime with ease. 10 minutes later I emerged from the room victorious and ready for my wife’s praise. She was not amused. “I had it. You can’t just come take over like that. It undermines me, and makes it more difficult next time.” She said. Notice that I didn’t label who said what in that exchange. That’s because the roles are interchangeable. To overcome this confusion, we came up with the tag-in system. Now anytime either of us hear the other one struggling with one of the kids we quietly approach, and make eye contact. It’s perfect. No one’s toes are stepped on, and we have an out if we need it. Best of all, it is done silently. To our kids it looks like an eyebrow raise, and a nod. To us it looks like ninja teamwork. After five years, Stevie and I have a pretty set routine. We alternate getting the kids ready and taking them to daycare. We alternate picking them up. I get home and make dinner while Stevie plays with them in the living room. Then I play with them while she cleans up from dinner. On weekends I get to sleep in one morning and she gets the other one. What is nice is that our routine was built on a framework of equal opportunity parenting. It works about 40% of the time. The rest of the time life happens. I get stuck in traffic while coming home from work. Stevie has to finish up some work at home. The kids would rather play in the back yard than eat dinner. I’ve had a rough day and don’t want to put the kids to bed. Stevie has had an awesome day and wants to talk about it with her sister. A million things keep us from our routine, and that is totally ok.
Our routine is our home base. We venture out and we come back. If something comes up that causes us to deviate, we adjust. But at the end of the chaos, we have our routine to go back to. Our original idea was to keep all things even, but like I mentioned in the section about breaking your routine, that just doesn’t happen. When deviations from the norm happen, it is easy to start keeping score. Honestly, it is impossible not to. Our first try at this strategy was to just forbid keeping score. Any mention of score was greeted with a snarky, “I thought we weren’t keeping score anymore.” Eventually we had to admit that not keeping score was an impossibility, so instead we just both agreed to secretly keep score. But here’s the key, instead of looking for places that we are getting ahead, we try to find places that we are falling behind. It works wonders. If I can recognize that Stevie has put the kids to bed for the last three nights, it is easier for me to step in and say that I’ll snag the next three. If Stevie knows that I have given the kids their last three baths, she will know that she has been sucked into a parallel dimension where Bizzaro John pro-actively gives his kids baths. The point is, that we try to see what the other person is doing and make adjustments before the conversation has to take place where we make accusations. 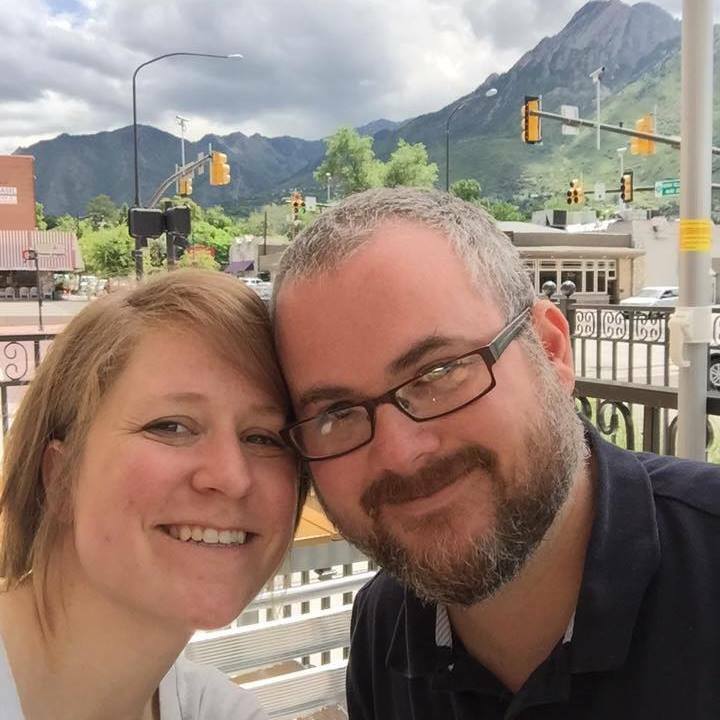 We still have a lot to figure out, and really, even though we strive to be equal parents all the time, the truth is that sometimes one of us needs to pick up the weight of the other. It is near impossible to be equal parents in the moment, but in the aggregate we've gotten pretty good at keeping things 1:1. This time I bought a Unique Handmade Father's Day Gift from a online store calls khyberbazaar.com. It is "Peshawari Chappal".It has been from different culture but it's comfortableness and unique design makes my dad very happy.